The PNW is one of the best places to live, period. We can escape to the mountains, head to the beach, get lost in the woods or drive into the city all within 1-2 hours. This year we have had a ton of snow in the lowlands and the city compared to what we usually get. Even with that the best snow is untouched by snowplows and encased around big beautiful mountains away from the city. 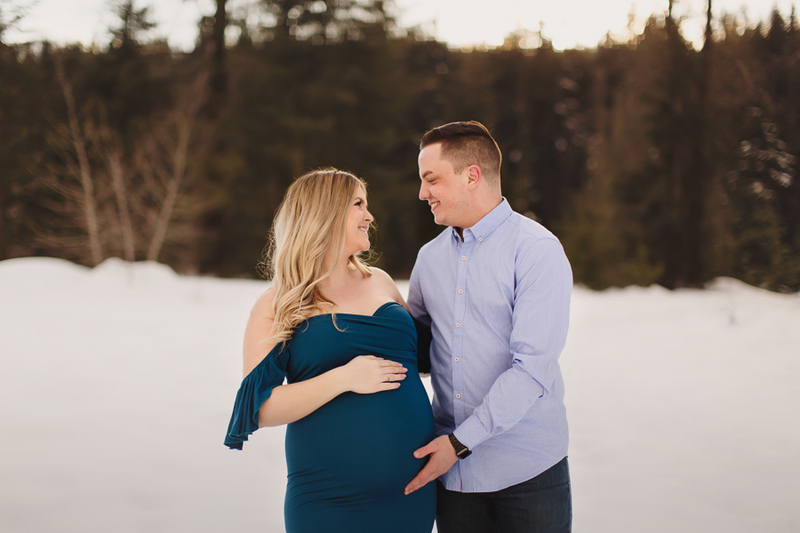 When Brandi contacted me for a winter maternity session for March I knew just the place. 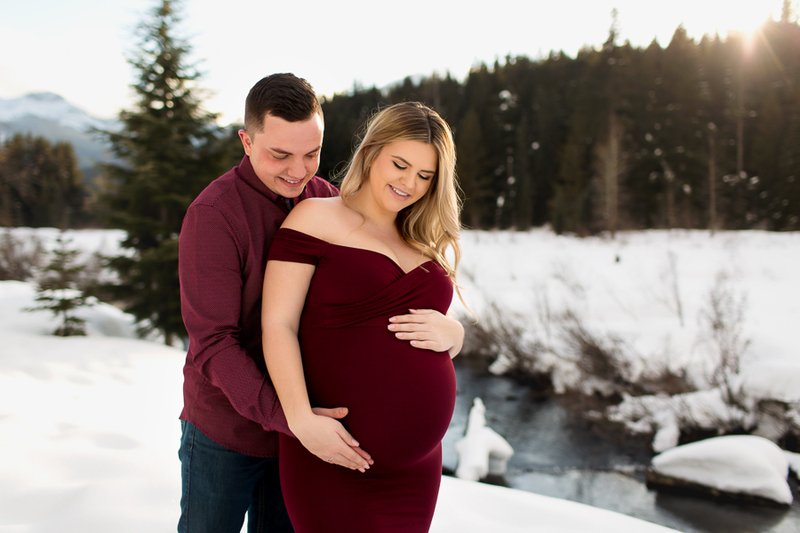 For her session we had one of the best days I had all season. Mostly due to the fact we had finally passed all the cold wintery weather we had this season. It was actually warm and we had the most beautiful golden light. 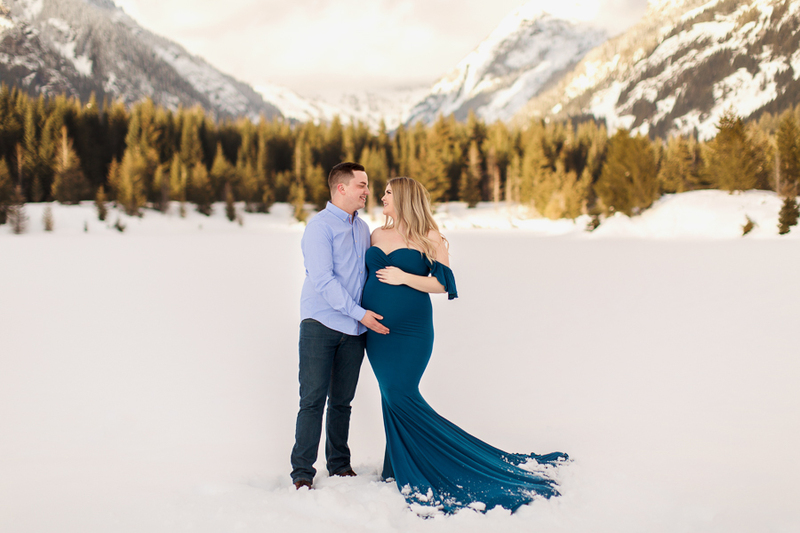 It was a magical maternity session in the snow to say the least. 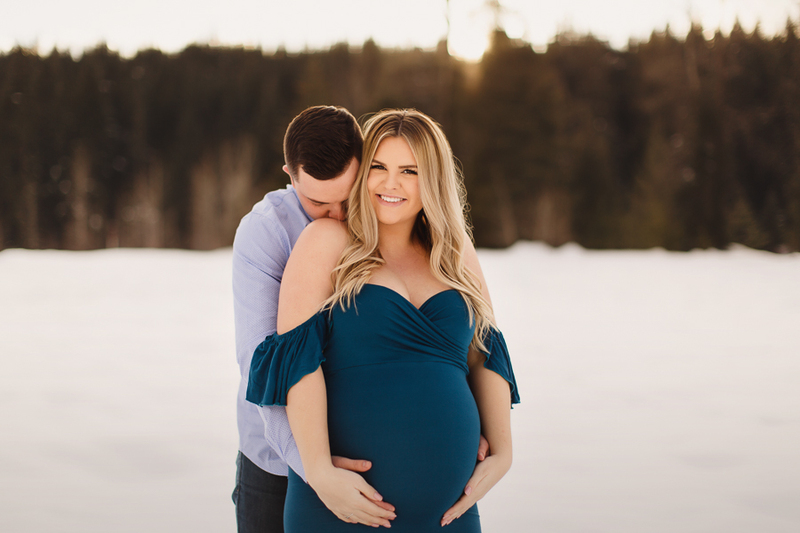 She had picked out the most beautiful Sew Trendy maternity gowns for her session. 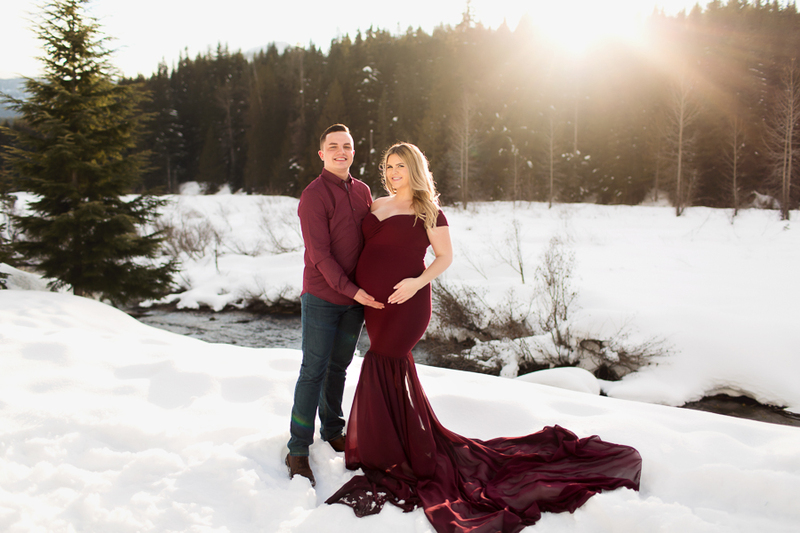 I just loved the rich jewel tones and how they popped against the snow and evergreen trees. 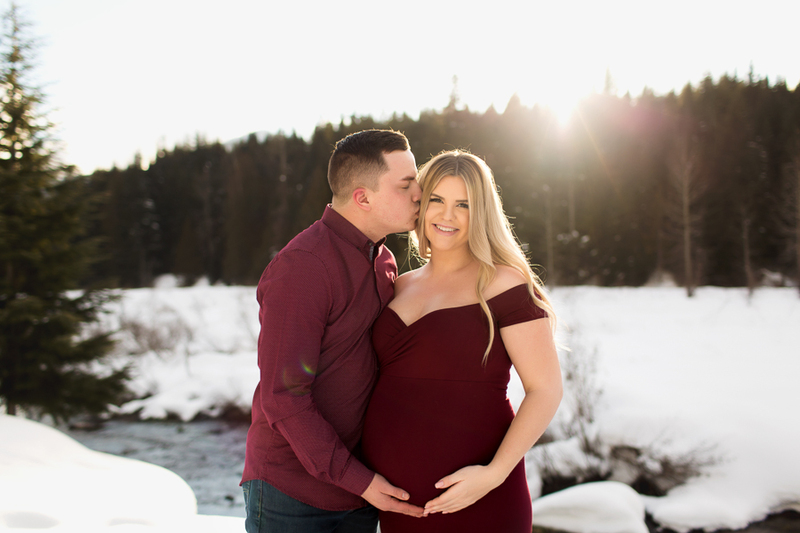 I cannot wait to meet her baby once she arrives. 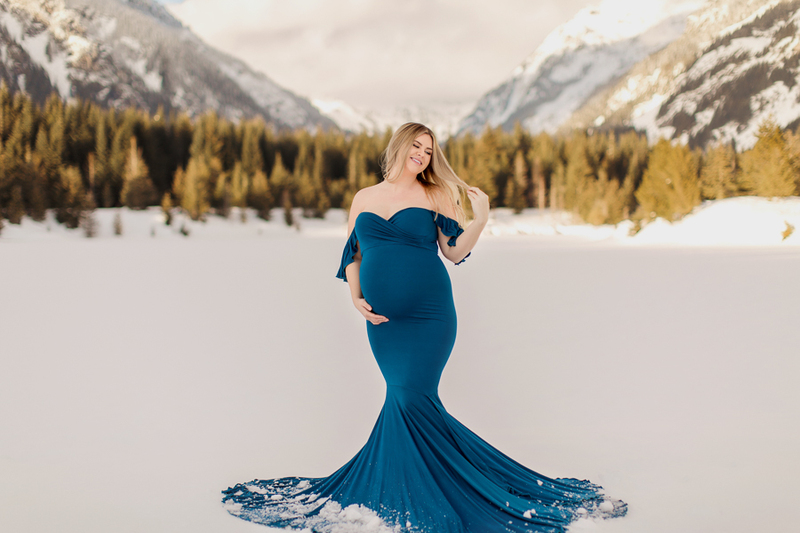 The best part of the job of a Seattle maternity photographer is getting to photograph these beautiful mommies and their babies once they arrive! She is going to have the most beautiful photos to celebrate this journey for her family. 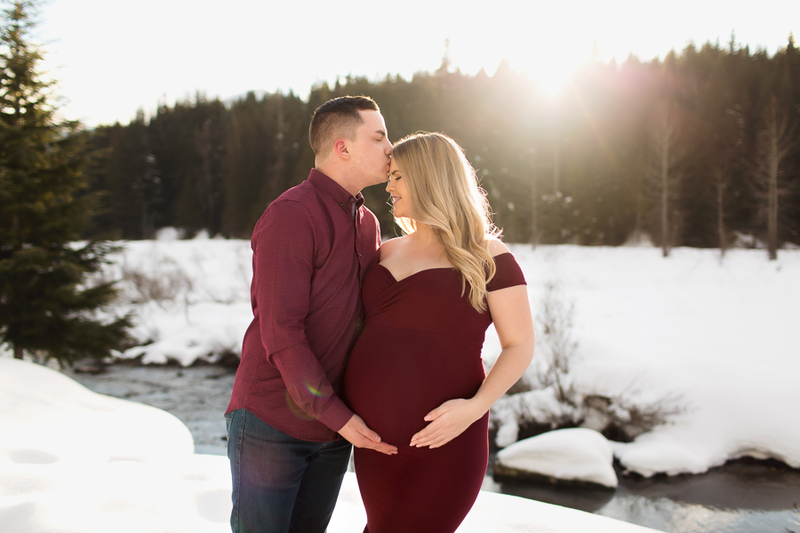 Snow sessions are always a favorite of mine even though there is a little bit of a challenge of keeping momma warm and walking safely in the snow. I am looking forward to spring with beautiful flowers and lush green grass but I will be patiently waiting for next winter to be able to get back out in the snow again! 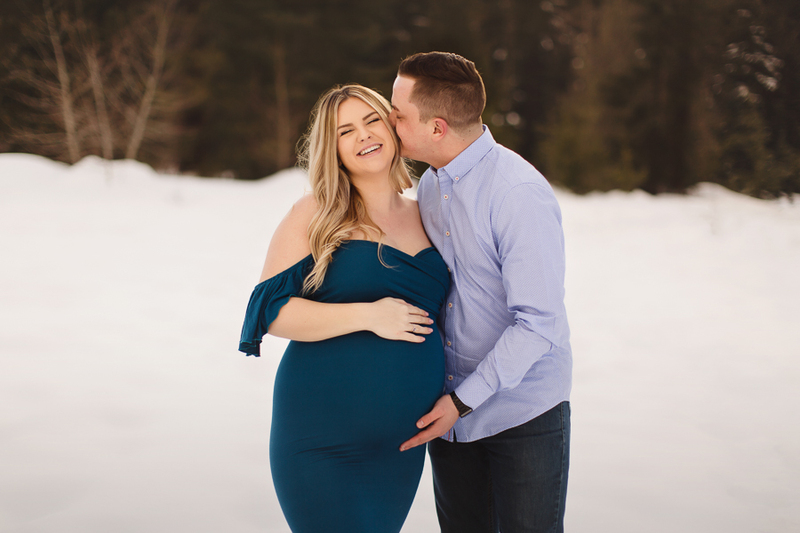 Did you know 80% of all of my maternity dresses come from Sew Trendy? Do you know why? They are the best for quality and fit. I’ve tried many dress companies but their dresses fit every size and shape like a glove. The dress designs show off curves and flatter all body types. Currently I have over 50 different maternity gowns!